Entering classes at The Mane Show couldn't be easier. Once you have looked at the schedule and decided which classes to enter, you just need to follow the simple steps below. 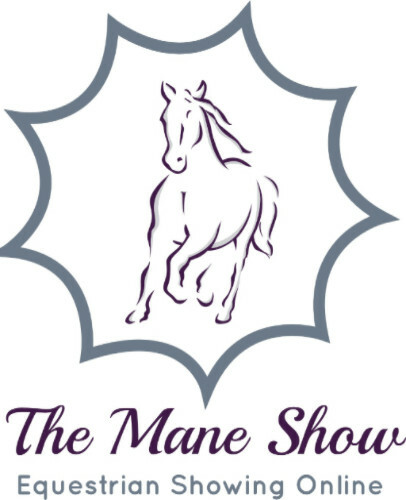 All entries to The Mane Show will appear in the public domain by entering you are accepting this condition. Once your entries have been received, I will send a PayPal request for payment. Payment should be sent to pay@themaneshow.co.uk through PayPal. Bank transfers are also accepted - please ask for details. Once paid, your entry is complete and your photos and videos will be uploaded to the entries pages ready to be viewed and judged. 2) Include the following information. 3) Ensure your video privacy settings are set to public. 1 a) Upload your video to YouTube & send your video link/YouTube URL by private message to www.facebook.com/themaneshow or to enter@themaneshow.co.uk. You can NOT send the actual video by email or private message as it will be too long. 1 b) Copy your video to a memory stick and post it to us - please private message/email for the address. Make sure that you leave plenty of time for it to reach us. 4) Please ensure that you have read all of the details on the schedule about how your video must be taken to ensure the best possibly quality for the judges. Refunds can not be given if the judge is unable to mark your test/parts of your test due to incorrect videoing/poor quality. You can NOT enter a video that you have previously entered to our Everyday Dressage classes.